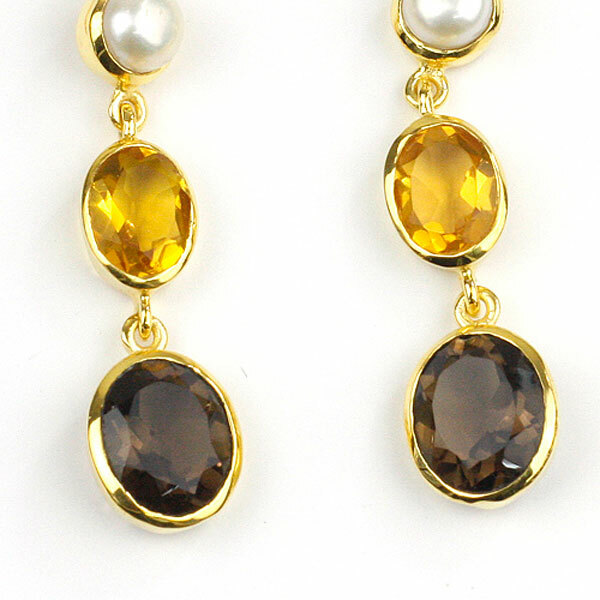 Pretty gold plated drop earrings with pearl, citrine and smokey quartz stones. From the hook at the ear fall 3 stones connected by a chain. 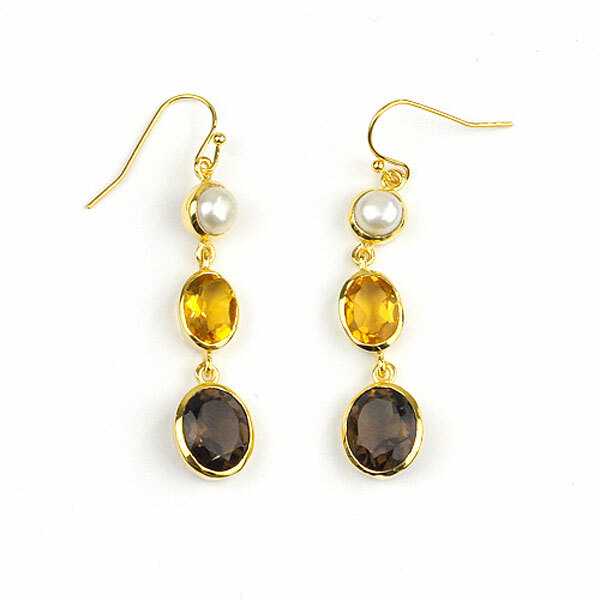 The first is a round pearl, then a yellow oval citrine and finally a larger oval smokey quartz. The earrings are supplied in a presentation box.